Hi! Happy Labor Day Weekend to ya! What are your plans? If you found your way here from Clean Eating Chelsey– welcome! Thank you so much for stopping by! You can read more about me and this lil blog in the “Cooking for Who?” tab above! I am spending the evening babysitting, and since the 2 year old girl I’m watching is already in bed, I have spent my time meal planning for next week. 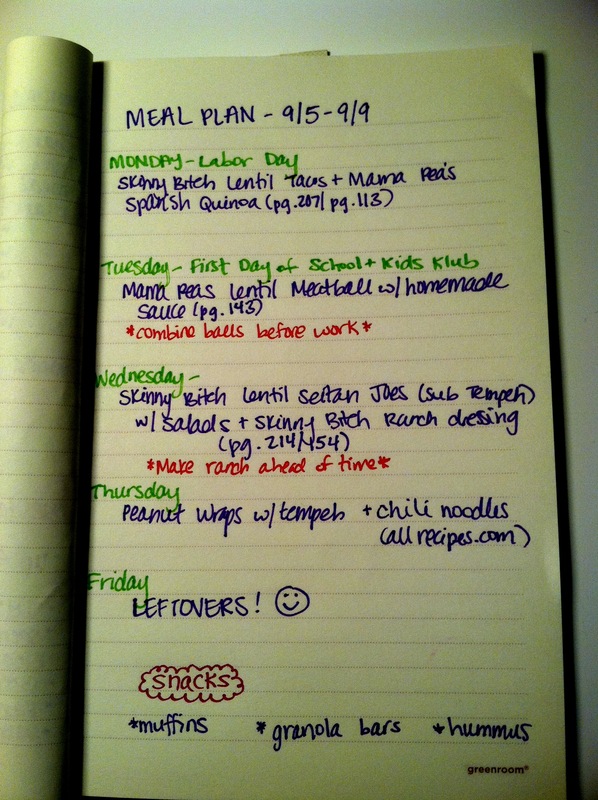 Meal planning is something that I don’t do enough (maybe once a month?) but absolutely adore. When I plan out our meals, I am more motivated to cook, I eat wholesomely, and I spend less! I am going to be starting my student aide position at the middle school next week, and figured now is the perfect time to start planning and prepping ahead for our meals. Cater your meals to your schedule In my plan, I made note of anything I have planned after work- that way I can prep components of the meal ahead of time. 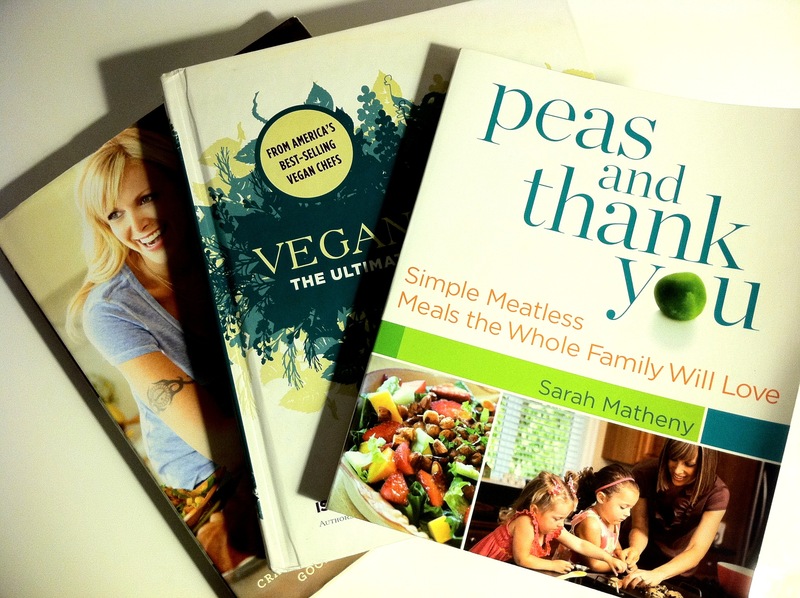 Flip through your favorite cookbooks, or surf your favorite blogs. I have a difficult time racking my brain and picking meals that I know I’ll enjoy. Reading a few cookbooks- especially looking at the mouthwatering pictures- help me pick out our delicious meals. Prep ahead of time- take some time on a Sunday afternoon to prep ingredients that you know you are going to use for your week’s meals. I am going to be making 3 (yes, 3!) lentil dishes, and I plan on making a big pot of lentils on Monday to speed up cook time during the work week. Make a grocery list- this one is obvious, but having a list with you at the store, and sticking to only the items on the list, will save you moola! I predict we will only need to spend $40 on groceries this week! A few of my favorite bloggers have written posts on their approach- check ’em out! Do you meal plan? Have any tips for me?